*** ENGINE INSTRUMENTS - Benvenuti su 1505590691! 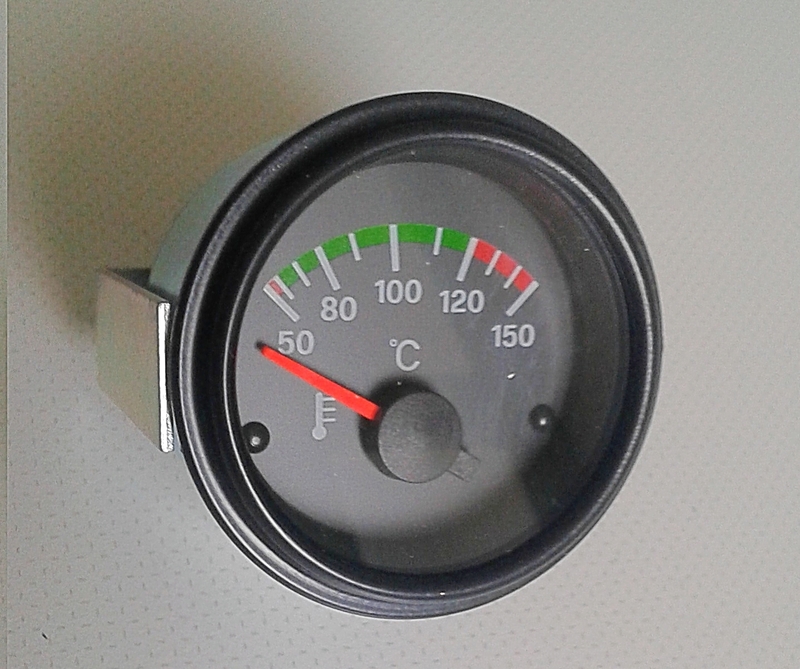 The gauge are not temperature compensated; changes in ambient temperature will affect the readings. Unlike our MICRO-1000 gauges, It will require shock mounting. All gauges come with a one-year warranty which covers any malfunction. Prices include probes with 4-ft. leads. Gauge leads may be extended with 18-gauge wire. The gauge are not temperature compensated; changes in ambient temperature will affect the readings. Unlike our MICRO-1000 gauges, It will require shock mounting. All gauges come with a one-year warranty which covers any malfunction. Prices include probes with 4-ft. leads. Gauge leads may be extended with 18-gauge wire. Includes probe. 2-1/4", 0-700° F.
All gauges come with a one-year warranty which covers any malfunction. Prices include probes with 4-ft. leads. Gauge leads may be extended with 18-gauge wire. Designed specifically for Rotax 912S (100HP) with silkscreen red areas green and yellow. Diameter 57mm, 50-150 °C range, distance indications 1 ºC in central area. It works with sensors that come from the factory with Rotax engines. Unlike our MICRO-1000 gauges, It will require shock mounting. 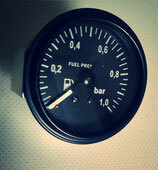 All gauges come with a one-year warranty which covers any malfunction. Prices include probes with 4-ft. leads. Gauge leads may be extended with 18-gauge wire. 2-1/4 UMA Mechanical Manifold Pressure Single Diaphragm Range: 10-35 InHg. Mitchell mechanical pressure gauge 2-1/4"
These electric instruments are lighted, allow easy installation. 12V operation unless other wise noted. Gauges fit 2-1/4" panel hole. Two instruments in one size case - perfect for the home builder. Rochester oil temperature gauges have matte-white dial with black bezel. Mount in 2-1/16" dia. hole. New manufacture. Furnished with one 5/8-18UNF X 5/8-18UNF adapter nut. Available in the following temperature ranges and capillary lengths.